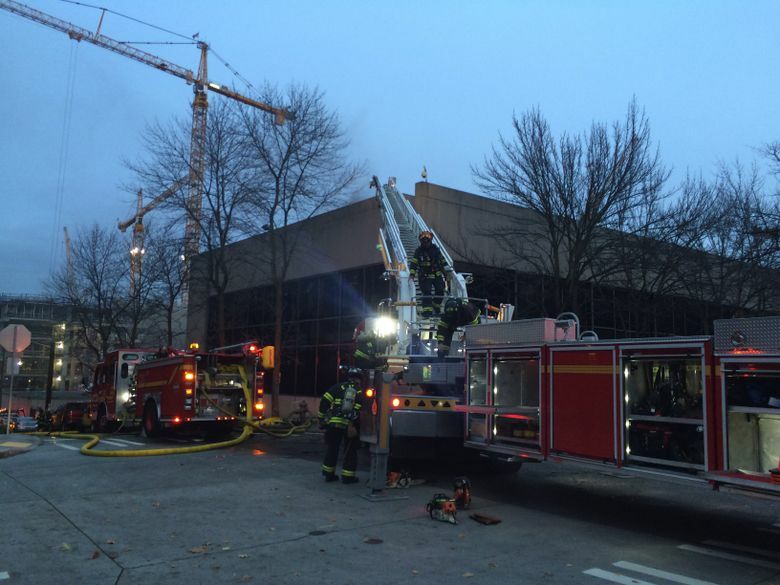 Firefighters found a small blaze in the South Lake Union building and extinguished it out quickly. Some squatters were found inside and were told to leave. 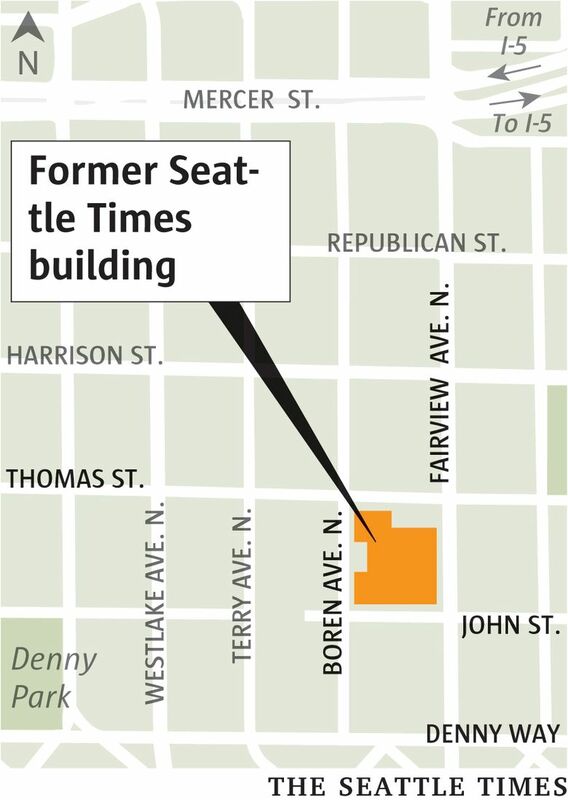 Firefighters used crowbars and circular saws to cut through doors and enter the former Seattle Times building Thursday, as two columns of smoke rose from the building’s west side. Firefighters found a small blaze and were able to put it out quickly; no one was injured, said Lt. Sue Stangl, a spokeswoman for the Seattle Fire Department. 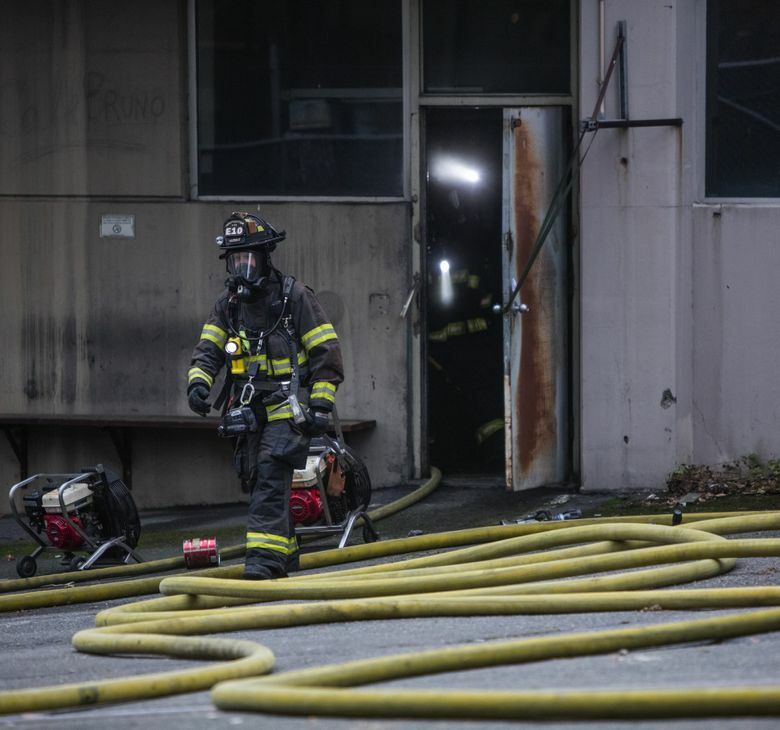 The fire, which began in a room that once housed printing presses, was started by improperly discarded smoking materials, the fire department said. 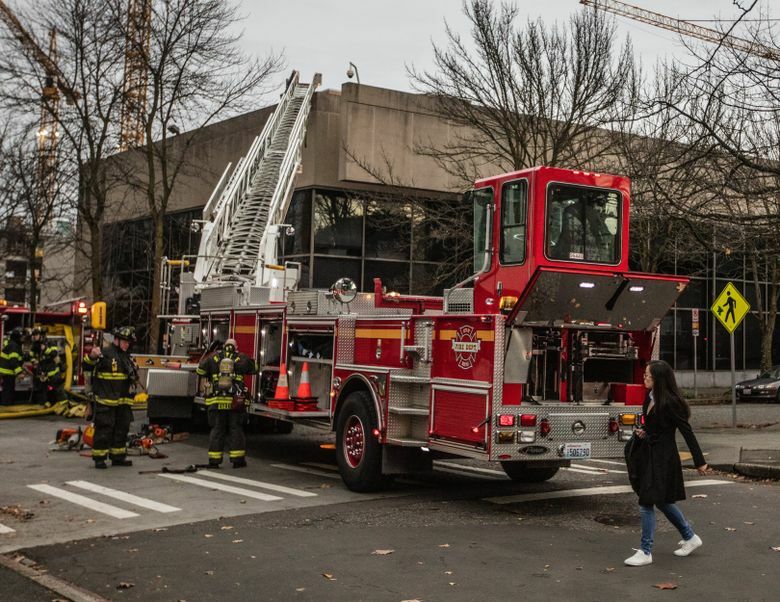 Firefighters responded just before 7 a.m. to the building, which is no longer owned by The Seattle Times, at 1120 John St.
About 10 engines were sent to the South Lake Union building because it is large and access was challenging. To get inside, firefighters climbed ladders to the roof, crawled through broken windows and sawed through doors inside and outside that had been welded shut. 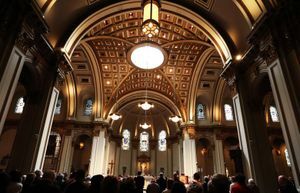 “It took a lot of energy to get through the doors,” Stangl said. Firefighters were familiar with the building because they’ve accompanied police there to roust squatters and respond to medical emergencies. “Every day, you see people walking out in the morning,” said Brandon Olson, who works at an adjacent construction site. Stangl said some people were found inside, away from the fire, and were told to leave. They went out the back of the building. Police cleared the structure in late September and a construction crew boarded up its windows and doors, but squatters returned almost immediately. Some have decorated their rooms with posters and art salvaged from the building. Barbie Blake, who unapologetically took up residence, pointed out a stockpile of propane tanks in the basement during a tour of the structure last month. “That’s going to keep us warm all winter,” he said. 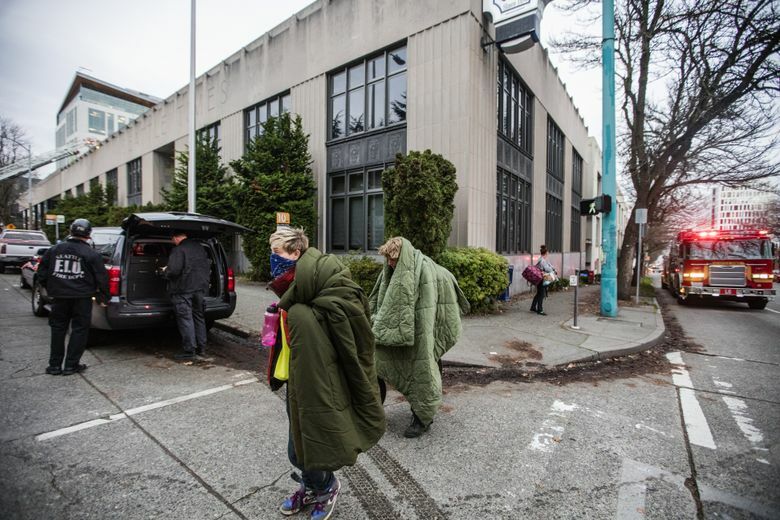 The fire broke out as temperatures dropped and about 10 days after Seattle Mayor Ed Murray declared a “state of emergency” over homelessness in the city. She said “junk” inside could be a fire hazard. The firefighters will also try to “keep people out” and assist in investigating the fire’s cause, Stangl said. Evan Bush: ebush@seattletimes.com. On Twitter @evanbush. 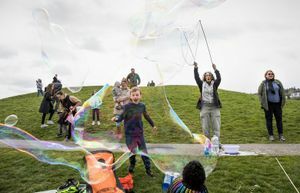 Seattle Times reporters Daniel Gilbert and Christine Clarridge contributed to this report.